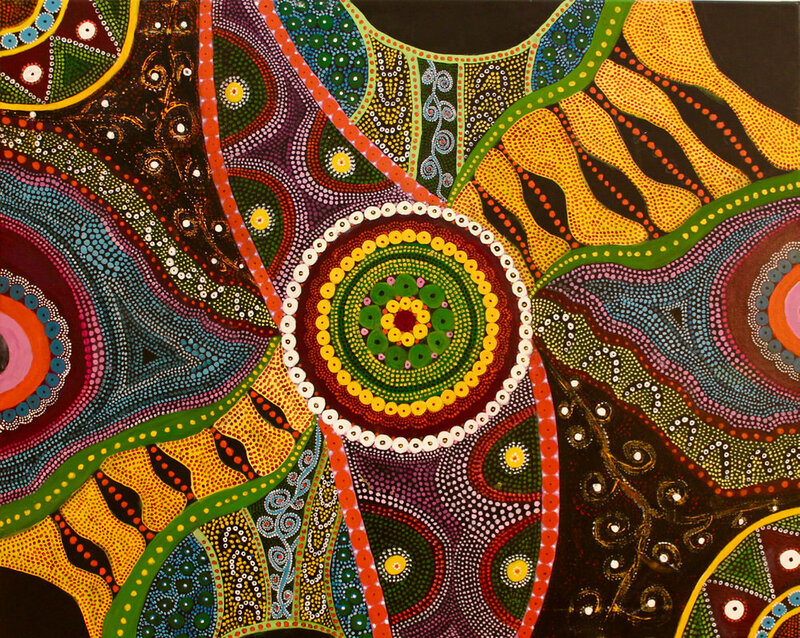 Having grown up in Sydney, Australia, I was exposed to diverse cultures, and in particular Aboriginal art. I have always admired the primitiveness of their paintings, their use of color and the way each painting tells a story. I have tried to integrate these same elements into my own work and am currently working on a series of paintings, (Sunburnt Country) based on a famous poem by Dorothy McCuller, a well-known Australian poet. 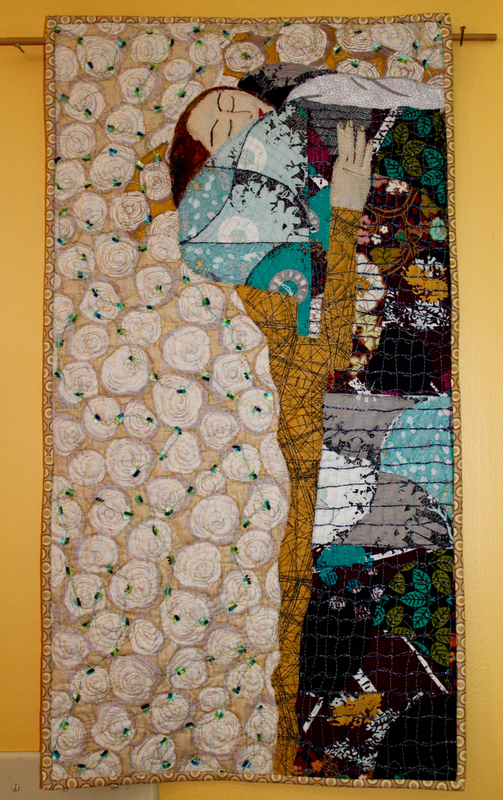 As a fiber artist I have always been interested in patterns and love to experiment with fabric and fiber, playing with color, texture, design, exploring the different possibilities that open up, whether the work is traditional or very contemporary.